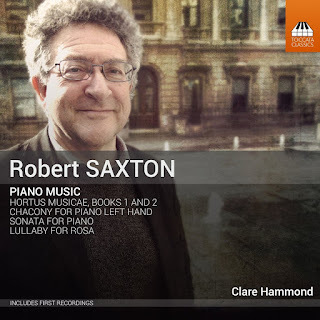 Saxton's Hortus Musicae, Book 1 was written for Clare Hammond and commission by Ian Ritchie for the 2013 City of London Festival. It consists of five pieces which examine various metaphysical gardens, The Garden of Dreams, The Garden of Time, The Singing Garden, the Infinte Garden, the Garden Dances. Saxton is adept at creating complex yet magical sound-worlds, the very transparency of the writing adding to the luminous quality. These gardens are by turns rhythmic, dramatic, light-filled, spare and meditative, and dancing, each different but each have a very particular quality which helps to define Saxton's art. Hortus Musicae, Book 2 was similarly written for Clare Hammond, this time premiered at the 2016 Presteigne Festival where Saxton was composer in residence. The suite consists of seven pieces, The Flowers appear on the Earth, Light on the Water Garden, The Garden of Changing Perspective, Beech Bank (a la recherche), Light on the Hedgerows, The Garden at Dusk, Hortus Animae Alis Fugacis. The gardens here are perhaps more descriptive, but Saxton uses a remarkable number of musical means to explore his ideas. Textures are by turns dramatic, dazzling, formal, and rhythmic, yet always magical. In Beech Bank he combines his meditation on memories of his grand-parents' house with remembered fragments of Haydn, Chopin and Donizetti floating out of the window, a magical and evocative experience. And the suite ends with a dazzling sort-of fuge. 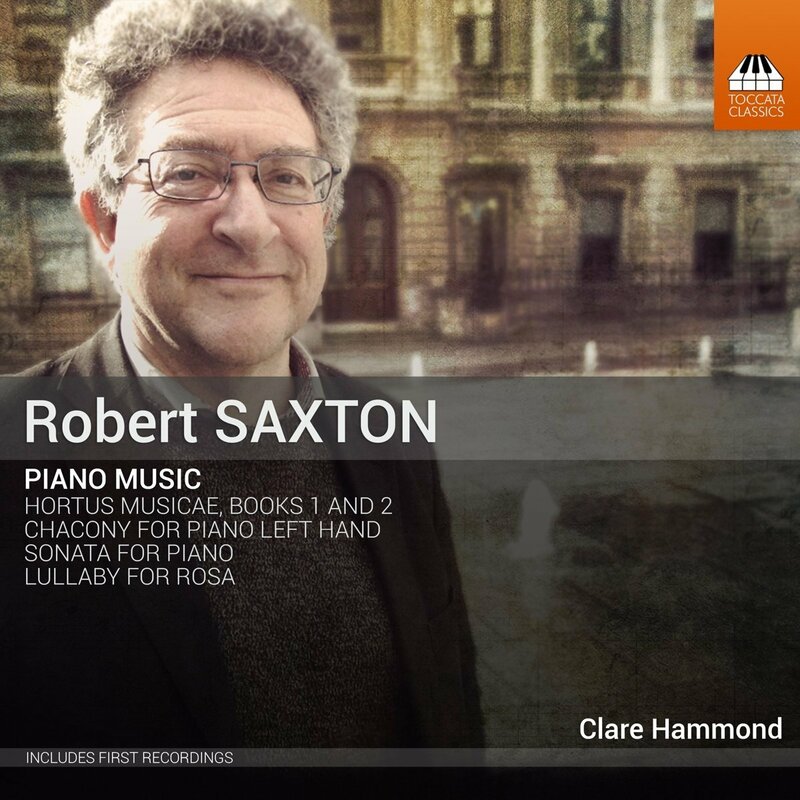 The final work on the disc, Lullaby for Rosa was written in 2016 for Clare Hammond's new daughter Rosa. The CD includes and excellent introductory essay by Saxton which combines discussion of his musical background and influences with information about the music on the disc. Throughout Clare Hammond plays with virtuosity, power and delicacy, and is clearly in sympathy with Saxton's rather magical sound-world. But that does not mean that this is aetherial and New Age, quite the contrary and Hammond finds bravura moments and dark corners in the music too. Each of the Hortus Musicae suites forms a satisfying piece (and Saxton has carefully constructed the pitch relationships between the movements), but together they make a striking whole.